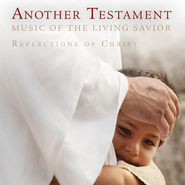 Organic and powerful, passionate and candid — the Reflections of Christ musical score matches the images from the book with its direct testimony of the Savior. The recording studio became more than a simple production facility, ultimately acting as an incubator for the rest of the art. 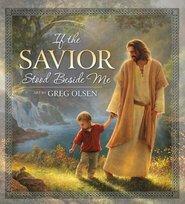 Favorite hymns inspired by the Savior's life and teachings are explored anew with a sound unencumbered by synthesizers or digital manipulation. With pure piano, clean cello, and sweet voices raised to testify of Christ, the lyrics to the hymns come alive and the brilliance of these classics is rediscovered. Enjoy what happens when renowned pianist Clyde Bawden and producer Jason Barney collaborate with Freddie Ashby, Alex Boye, Hope Shepherd, Melynda Brimhall, Catherine Papworth, The Alston Sisters, and Brandon Brown. Among the hymns featured are Come, Thou Fount of Every Blessing, Amazing Grace,,Be Still, My Soul, I Need Thee Every Hour and, Jesus, Lover of My Soul. This is one of the most inspirational and calming albums I have ever heard. Its pure and beautiful. The artist are some of the best I have ever heard sing this music, the arrangements are done beautifully. A must have!!! My mother purchased this for my birthday and honestly I figured it was going to be good,but not something that I would listen to daily. I served my mission in the south and have a great love for those who love our savoir no matter the religious affiliation. This CD helps us remember that we are all God's children and our traditonally stoic style of worship is not the only one that exists. If one could listen to the artists rendition of "Be still my heart" on this CD and not be moved to tears then a reavaluation should be taken of where your heart is.If your looking for something to calm your troubled heart, this is just what the doctor ordered. I love The Mormon Tabernacle Choir, and some of the modern type music. Not since Gladys Knight and the SUV choir released their album (which is just so good) have I found a CD that I love as much as this one! My favorite hymn "I Know That my Redeemer Lives" is done with such passion, soul and energy. This entire CD is top notch! I would recommend this to everyone that loves good music with lots of feeling. You can feel the emotion of the singers come through, and the piano is just incredible also. If you don't have this CD yet, what are you waiting for? It really is that good! One of my very favorite! I love the words to the songs that were used but I did not enjoy all the voices. Some of the sounds were not 'music to the ears' and I would not have purchased this if I had had the opportunity to hear a sampling of all the songs. The sample used was the best on the CD. I'm afraid I feel like money was wasted. I wish there was a guarantee with the CD as I would send it back for a refund. This is a great addition to your music collection. It is not only inspiring, but very calming when life gets stressful. This has become my favorite CD to listen to while I reflect on my tasks for the day. It really puts the right perseptive on things. Highly recommend! Great for a Sunday morning or anytime! Every song is inspired. It is definitely something I would purchase again. 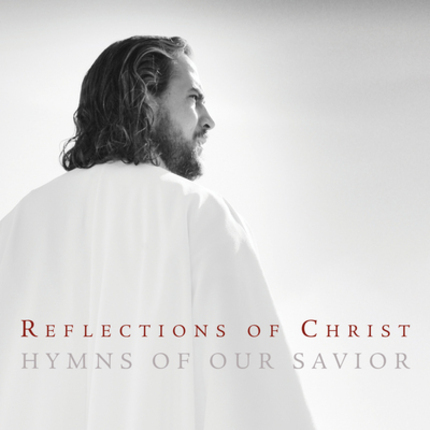 These deeply stirring hymns give cause for reflection on the life of the Savior. When you hear them, they are instantly familiar, but so much more thoughtful and powerful than you remember them. I had the pleasure of working with Jason Barney, years ago. He is an innovator and a true lover of music. I hope you find these hymns to be an inspiration and a testament of Jesus Christ, as I have. The music is beautiful, uplifting and inspiring. We listen to it all the time as a family. Each of our kids plays it on their ipods. Jason does a great job putting the music together. Clyde is an established pianist who is amazing and the artists on the tracks are wonderful. Can't wait for the next one!